If it’s made in Japan and airs on TV, it’s eligible, but naturally, a show can only be called “the best” when it has been watched in full, so only shows that ended this season can be nominated as show of the season. We’ll make an exception for Blood Blockade Battlefield, as its last episode has unfortunately been ‘delayed indefinitely’, yet shows that are only halfway in are still disqualified. The Heroic Legend of Arslan, Ninja Slayer, My Love Story! !, Food Wars and The Melancholy of Yuki-chan Nagato will be continuing next season, so they can only be nominated for any dishonorable awards. Attentive viewers may have noticed that this also significantly narrows down the number of shows we’ve watched eligible for this season’s Wrap-Up. Oh well, we can’t have last season every season, can we? This season was full of shows where you could say “it was great, but…” as in “Sound! 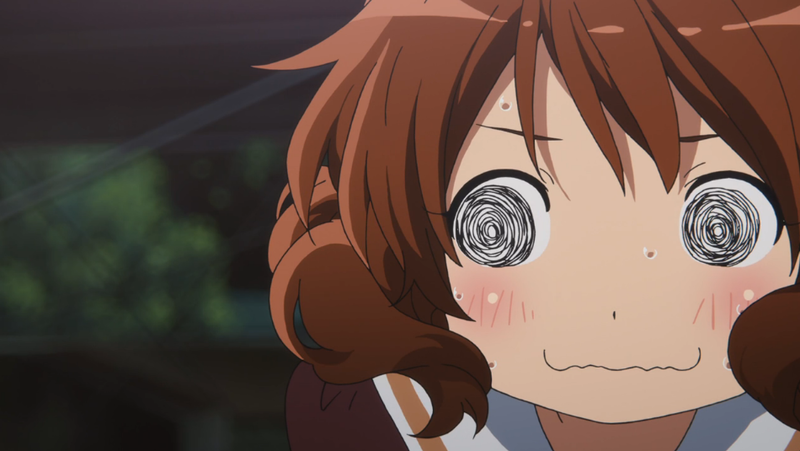 Euphonium was great, but the first half is painfully slow and spends too much time on musical instrument minutiae”. Fortunately the second half of the series focuses on the rising tension in the band and the growth of its main characters and never looks back. It’s some of Kyoto Animation’s best work ever, particularly the stellar episode 8 which is the pinnacle of Euphonium’s insightful dialogue and masterful directing. It’s also possibly the best looking show KyoAni have ever done, which is to say it’s one of the best looking TV anime anyone has ever done. Overall the show’s lows are about the same as the competition, but it has the highest highs by far and has won me over as the best show of the spring season. 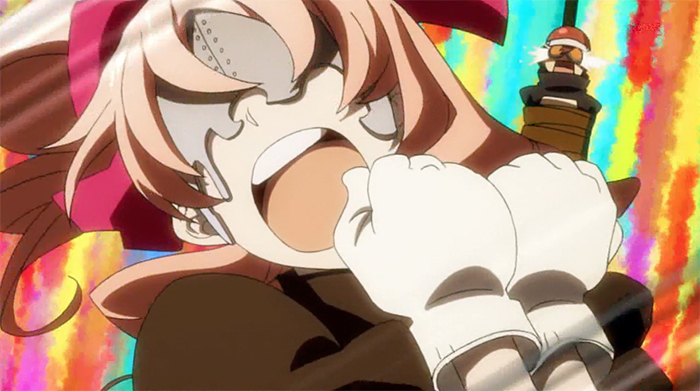 Honorable Mentions: Blood Blockade Battlefront is stylish and fun, but fails to make any lasting emotional connection with me. Yamada-kun and the Seven Witches is charming and much smarter than it looks, but it’s bogged down by occasional bouts of unnecessary fan service and rushed pacing. My Love Story!! is adorable and a refreshing concept, but it’s rapidly running out of ideas and still has an entire second half to get through. Similar to last season’s Rolling Girls, Mikagura School Suite is a colorful blast of creative energy that never lives up to its potential. Coupled with the outlandish character designs and feisty main character, the concept of clubs battling each other for glory and sweet accommodations is a fun spin on the tired school club comedy. It works for a few episodes but quickly turns into a mess of ideas as the focus shifts away from the fighting and more toward hanging out with the other clubs. Any attempts at serious plot feel incredibly amateurish and fall flat, and as the production values deteriorate from episode to episode it doesn’t even have good looks to rely on. Mikagura School Suite was not the worst show this season, but it failed to reach its potential so hard that it is the most disappointing. Dishonorable Mentions: Dogakobo’s other show, Plastic Memories, also starts with high potential and only offers up obnoxious anime clichés in its place. I didn’t have huge expectations for Ninja Slayer, but after Trigger hyped it up so much I felt it was a letdown to see the half episode run times and Inferno Cop-style finger puppet animation. It’s finally over, and it was a hell of a ride! Although the final moments of Stardust Crusaders already existed in OVA form, only in the past few weeks has the true spirit of the manga been brought to life on the small screen, and showing my friends one of the most iconic shounen stories in history over the past few years is something I’ll remember for a long time. 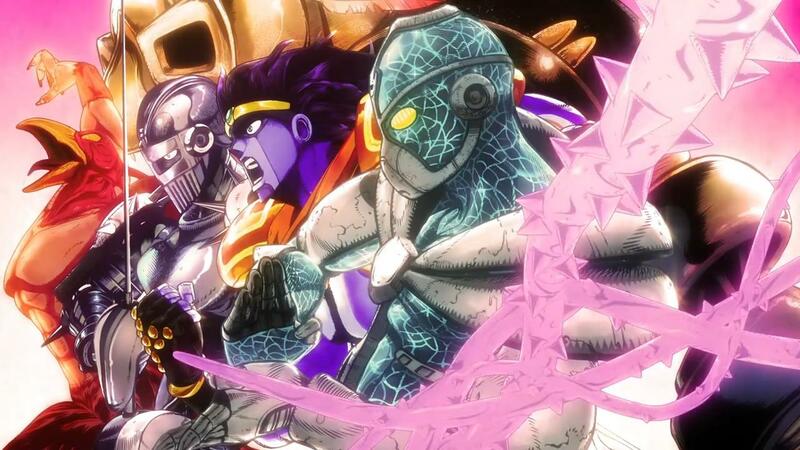 Dio dropping the steamroller is as amazing as ever, and I pray that we’ll see an anime adaptation of Diamond is Unbreakable in the near future. Honorable Mentions: Fate/Stay Night: Unlimited Blade Works, but only the first half and the last two episodes; Blood Blockade Battlefront. We all enjoyed Majestic Prince, Love Lab, and Monthly Girls’ Nozaki-kun, but Dogakobo dropped the ball hard with their first big original anime. 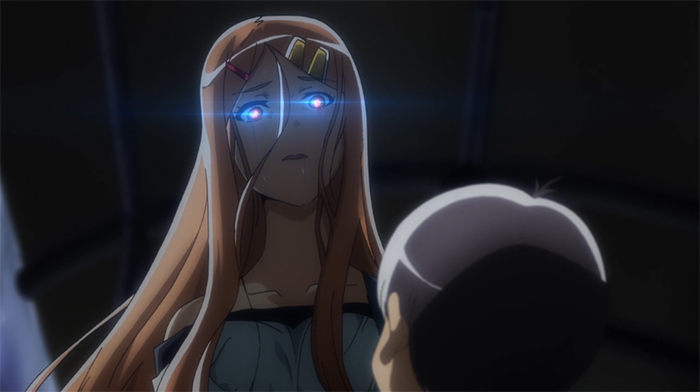 Plastic Memories‘ sci-fi premise promised unique stories with an undercurrent of heart, but instead went all-in on tedious rom-com cliches and sad-girl-in-snow tropes. With a plot that could be transplanted whole cloth into nearly any other setting, I’ll only ever remember Plastic Memories for its wasted potential. Perhaps Dogakobo should stick to adaptations? 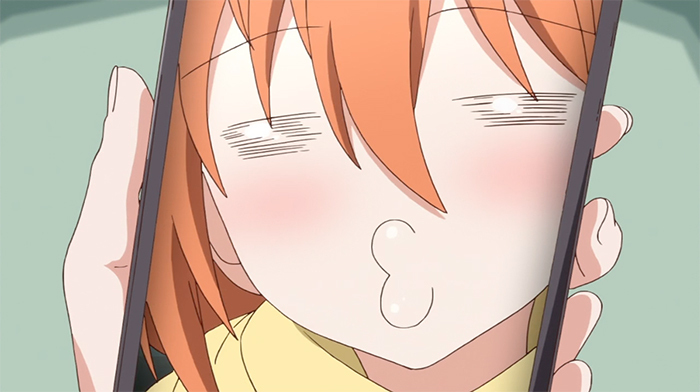 Dishonorable Mentions: Fate/Stay Night: Unlimited Blade Works, Mikagura School Suite, and Punch Line. There were a few personal hurdles to overcome in making this decision, but after looking back over my own words it’s clear that this show has had an impact on me. The highlight is clearly the wonderfully told relationship between Reina and Kumiko. The second half was able to salvage the bumbling awkwardness of the first half through crafting a very sweet story of two people growing closer. By supporting each other, they find the strength to pursue their goals that they may not have been able to muster themselves. As a band nerd I also instantly have to love all the references to both playing an instrument and band culture in general. After Your Lie In April gave me quite the disappointment, it was refreshing to see a show about music that respected its audience. Honorable Mentions: JoJo’s Bizarre Adventure: Stardust Crusaders gave Euphonium a big run for its money. After a lukewarm start, it had a really engaging final arc that any fan could be proud of, but in the end I had to weight the bad with the good. Blood Blockade Battlefront seemed like a lock for favorite the whole season, but there’s a lot to be said about a good ending. Or, you know, ending at all. The beginning of this season seemed to promise just as much good insight into teenage relationships, and relationships in general, as the first season. Unfortunately, things fell apart at the end as Hachiman clearly states that the status quo pervading their group needs to end, only to have the final four or five episodes be nothing but the three of them completely avoiding the topic, almost seemingly to pad out time. Vague language compounded this problem, making some scenes feel like they must have to make sense in a Japanese context. After looking forward to a smart show to balance out all the silly things I was watching, SNAFU left me utterly wanting. Dishonorable Mentions: Yamada-kun and the Seven Witches was poised to be another clear favorite in the middle of the season. Unfortunately, pacing problems that spiraled out of control occurred quickly afterwards, marring what was otherwise a sweet romance story. 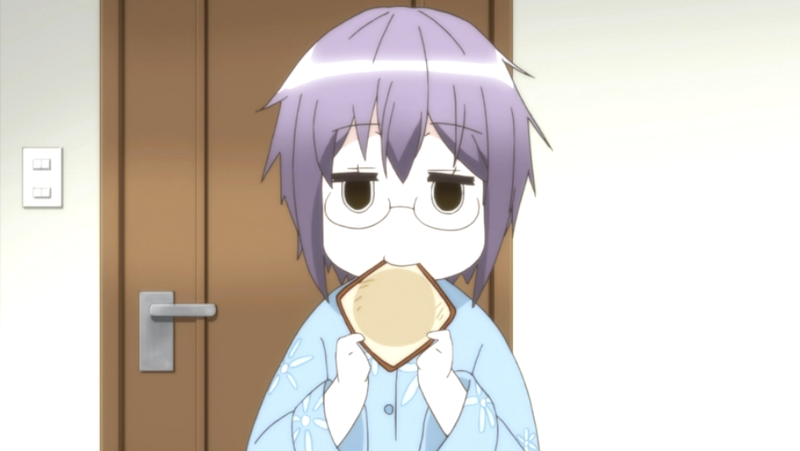 The Disappearance of Nagato Yuki-Chan also had its fair share of problems, but I was already going into that with pretty low requirements for enjoyment. It even managed to bail itself out somewhat in the end, in stark contrast to SNAFU. The Wrap-Up for me always ends up as a battle between my heart and my head. The show I enjoyed the most, that I looked forward to watching every week is hardly ever the show that speaks to the connoisseur in me, the show I must acknowledge is for all intents and purposes the best show of the season. This season, that discussion is evidently between Sound! Euphonium and Blood Blockade Battlefront. Both are absolutely gorgeous shows worked on by incredibly talented directors and both are distinctly anime without seeking refuge in tired tropes. On the surface level, Sound! Euphonium plays things relatively safe, with its cast of quirky teen girls, high school setting and generic themes of romance and hard work, while Blood Blockade Battlefront revels in its own imagination, energetic chaos and clever symbolism. Yet upon closer inspection, Euphonium might the more unique of the two after all. Blood Blockade Battlefront is far from the only quirky, stylish adventure in recent anime memory. A carefully plotted anime drama with complex, fleshed out characters, realistic conflicts and honest, genuine romance, on the other hand, is a rarity. Blood Blockade Battlefront embodies something anime doesn’t do often, but very consistently does well. It has dozens of equivalents. Sound! 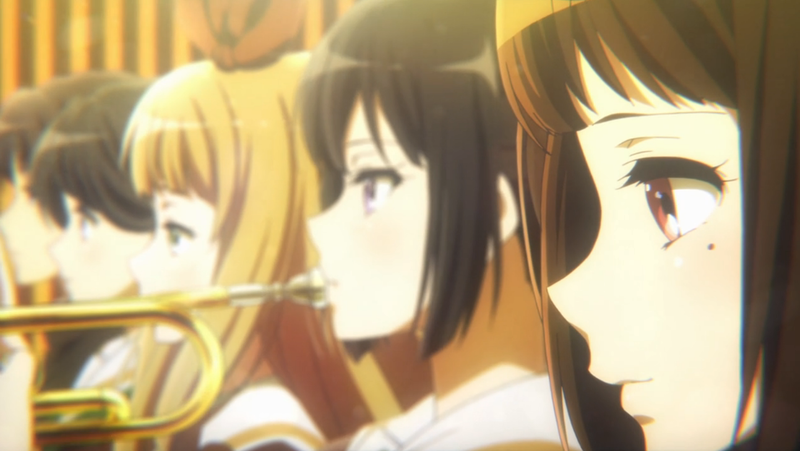 Euphonium, however, marks the first time anime does what it does all the bloody time, and actually does it well — well enough to merit being checked out even by people completely new to anime. I think that, for the medium as a whole, that is a far bigger achievement. Also, it’s really gay. Like, really gay. Honorable Mentions: Blood Blockade Battlefront deserves a watch as much as Sound! Euphonium does, if only for Rie Matsumoto’s splendid directing. While not as fine-tuned and consistent as Euphonium, it ends up feeling more artisanal. The plus to a season as starved for quality as this one is that it’s rather easy to tell apart the shows worth your time from the rabble based on the first episode alone. Only one other show aside from the above mentioned had me watching its second episode, and that show was Mikagura School Suite. In all honesty, I knew from the moment I started watching that show that I wouldn’t see it through to the end. Mikagura School Suite is exactly the kind of anime comedy that remains fun as long as it still has new tricks up its sleeve. Yet when the budget ran out and all the cast members had been introduced, the show very quickly found itself without any kind of purpose. If Mikagura School Suite was just a super-charged OVA about a slightly too excited Juri Kimura punching her way through an entire school hierarchy just to get to “hang out” with a cute girl she saw on their flyer, animated in Dogakobo’s trademark colourful style, it might have been worth a recommendation. Unsurprisingly, however, it ended up as random as its source material — no one knows exactly what it is supposed to be. Dishonorable Mentions: Punch Line, despite my having no hopes for it, still ended up disappointing because it really was just a skeevy fanservice anime. Apparently, it did end up going full Uchikoshi after all, but the first episode any and all goodwill I had towards it was killed stone cold. I initially passed on Sound! Euphonium at the beginning of this season because it looked like yet another K-On! derivative, but I eventually picked it up when I saw the rest of the Glorio crew raving about it. It starts off fun and moves at a steady pace, but what truly made the show stand out for me was the huge shift in tone a little over half way through. We see individual members struggle with the pressure of getting up to scratch for the big performance, and members of the band fight between themselves over topics they feel passionately about. To top it all off, we get a romance out of nowhere and it doesn’t feel shoehorned in. A wonderful surprise, and I hope that KyoAni treats a possible second season better than their previous sequels. Honorable Mentions: JoJo’s Bizarre Adventure was great fun, and it was nice seeing the remainder of part three adapt the (rather large) sections the old OVAs skipped over. Assassination Classroom was pretty hit or miss, but lands on this side of the wall thanks to a fantastic final arc. Last but not least, a big thumbs up goes to the second instalment of Dragon Ball Kai, which has finished rounding off the Buu saga. Time to see what this Super nonsense is all about. We knew that this would just be The Melancholy of Haruhi Suzumiya with all of the science fiction stripped from it, so I’m not entirely sure what I expected. Watching Kyon deal with a love triangle really isn’t that interesting, and there isn’t enough going on to differentiate this show from other school-based romances. Most of the episodes are just fluff, ending in Yuki blushing over Kyon without any sort of progression either in romance or story. I will say that there are a few episodes towards the end that did a good job of pulling on the ol’ heartstrings, but even they couldn’t do enough to make this a show I can recommend. Maybe pick it up if you like the characters, but you’d be wise to temper your expectations. Dishonorable Mentions: Nisekoi: wasn’t awful by any means, but the second season focuses far too much on the extensive female cast and their complete inability to figure out relationships. A good portion of this season was dedicated to Chitoge pondering how she should confess to Raku, when really that’s not what I want to see from this show. The romance has always been a means to dumb scenarios and comedy; it’s already been established that if you’re in this for the romance, you’re in for a bad time. There were some great episodes here but ultimately it disappoints by not shaking things up enough. It’s not a perfect show by any means, but Blood Blockade Battlefront easily became my spring season favourite after the first couple of episodes. Weirdly enough, I didn’t think much of the series when I first started watching – not because those first episodes are bad by any means, but just because it took me a little while to really get the hang of BBB’s particular sense of humour and general style. Once I did though, I was hooked; it’s a fun and vibrantly energetic anime, and the ridiculous but oddly charming episodic hijinks of Leo and the crew ended up appealing to me far more than I had initially anticipated. Honorable Mentions: My Love Story!! and The Heroic Legend of Arslan. As both titles are still ongoing, I hesitate to make any sweeping claims about either, but so far they’ve been a pleasure to watch. The former is dorky as hell but also very sweet, while the latter’s historical-fantasy setting and blend of action and political drama make it a refreshing, if very deliberately paced, addition to my current watch-list. Dishonorable Mentions: Purely for the sake of adding something here, here’s a brief list of those titles that failed to keep me watching after the first couple of episodes: Sound! Euphonium, Punch Line, Ninja Slayer From Animation and Rainy Cocoa. Not the landslide victory I fear this feature will one day end up with, but still, that’s a lot of people telling you you should probably check out Sound! Euphonium if you have the chance. Due to the indefinite delay of its final episode, the hyperactive Blood Blockade Battlefront stranded in the honorable mentions sections, but that should give you more than enough time to catch up before that finale hits. On the other hand, our beloved Dogakobo seem to be the losers on the season, but no worries — hits like Love Lab and Monthly Girls’ Nozaki-kun aren’t going anywhere. Perhaps to reflect on itself, Dogakobo are but one of the many usual suspects taking a break this summer, with other established studios like Kyoto Animation, Shaft and Sunrise absent as well. Will next season nevertheless provide more than two shows worth your time? Err… We’ll see, eh? That band show did me in this season. It was the only show that became more and more interesting and captivating. Everything else on my play-list became more ploddingly boring. Special dishonourable mention to Plastic Memories, as in I can’t believe this was the same studio that produce Gekkan Shoujo Nozaki-kun. This was so terrible, it was as if they set out to produce an anti-Nozaki show. A slightly lesser note of disappointment with SNAFU, a show whose first season caught me by surprise, let down by a wasted second season. I was tempted to pick Plastic Memories for biggest disappointment but given the premise I wasn’t that shocked it turned out the way it did. It’s really difficult to do that type of story and get it right. Haha, all the love for Euphonium. Didn’t think it would be on my top 3 of the season, but I really liked it in the end. My #1 of the season would be Kekkai Sensen. Still waiting for that finale, hopefully worth the delay. That last episode of BBB was not very good. I know they are working on the big finale but I didn’t really like the whole thing with Black and White to begin with. ARGHHHH I havent finished half of my summer shows due to no internet at my house! But it seems I have to watch Sound Euphonium…Near unanimous agreement from the Glorio lads and ladies! Sound! Euphonium is great. Sad to hear that SNAFU season 2 could have ended better. Alas that often happens when the source material is still ongoing.